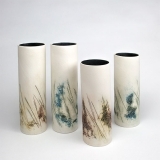 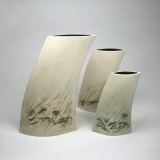 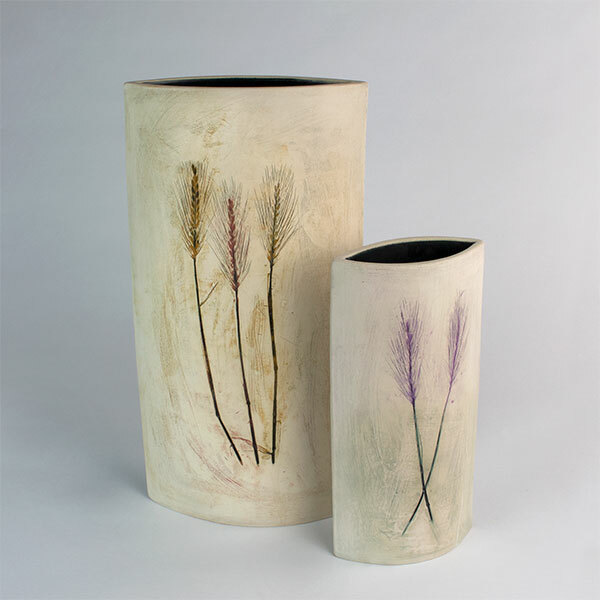 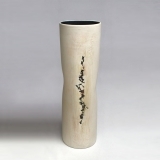 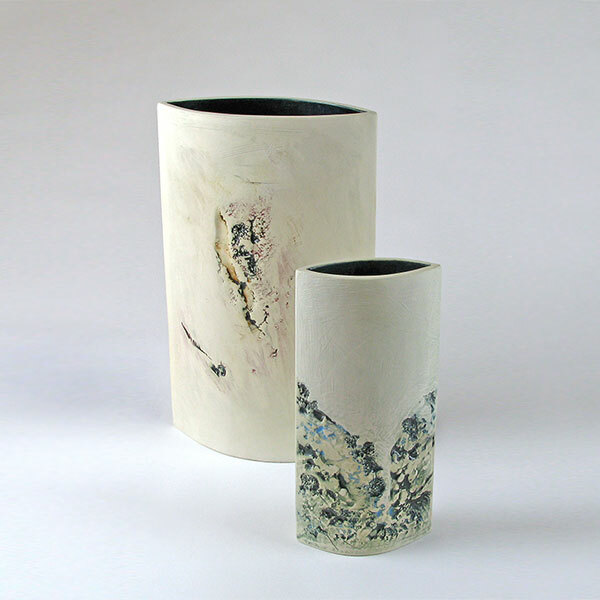 Tessa Wolfe Murray is working in high firing white earthenware clays making one-off vessels that link to her wall pieces and bas reliefs and their influences. 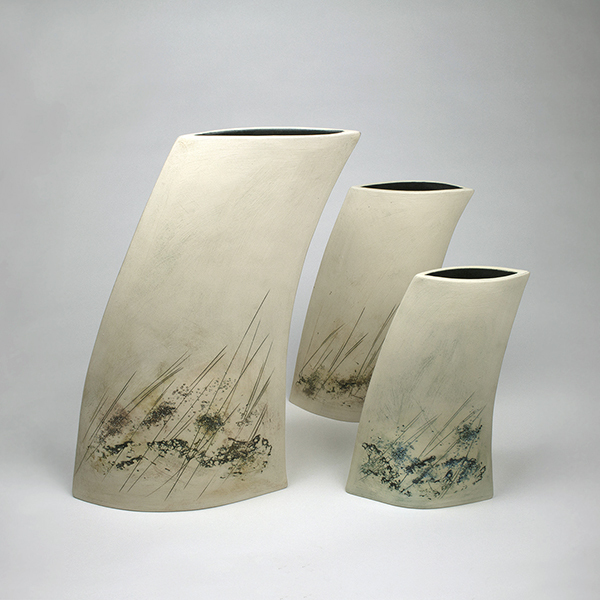 Adding a third dimension introduces decisions involving contour and edge, fluidity, precision and balance. 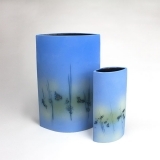 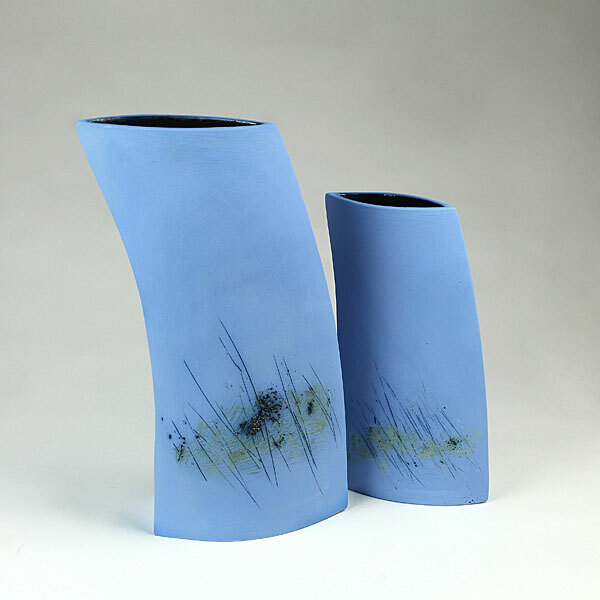 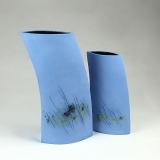 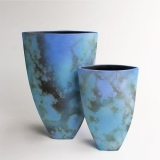 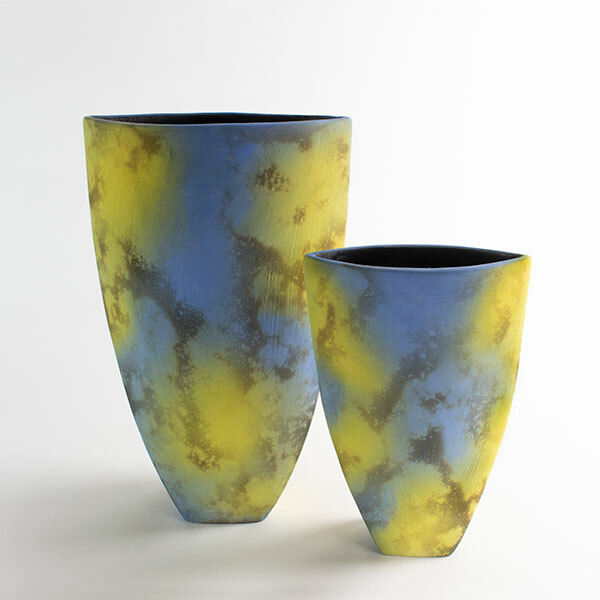 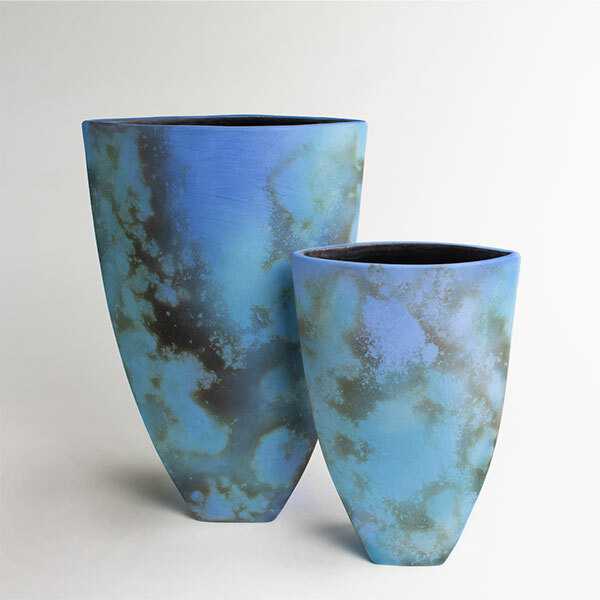 All vessel forms are slab-built, glazed inside and are designed to hold water.